Raul spends some time with his mother who has suffered for years with chronic asthma. For a long time now, the Micah boys’ family members have been going through difficult circumstances that wear them out: hunger, loneliness, pain, tragedy, violence, resentment, etc. I could mention many more problems that these families have, but these are just some of the ones that come to Micah with the intention of receiving help. And we could say to ourselves “Help? Aren’t we helping your sons? Isn’t that sufficient? Besides, you have caused them so much harm: abandonment, pain, suffering, mistreatment, and possibly many more things” But there is really only one answer. The divine love of God, who considered our lives, even when we were dead in our sins, also considered the lives of each of these families and He loves them with His eternal love and sent His Son Jesus Christ to die for them. Because of this very truth, the Micah Project has opened its doors to a new phase of ministry: the families! Twice a month we host a Family Visit Day where we have the opportunity to share with each of these families. 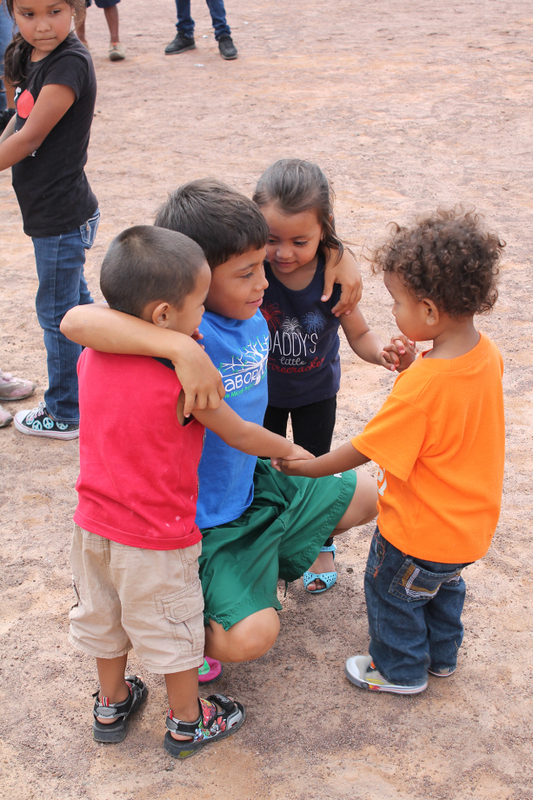 The boys have closer relationships with their parents, siblings and other relatives, they recognize them as family, serve them a delicious lunch, play with them and enjoy the space at Micah 2.0 that we didn’t have before. 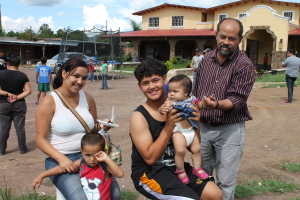 Manuel smiles with his siblings, nieces and nephews. 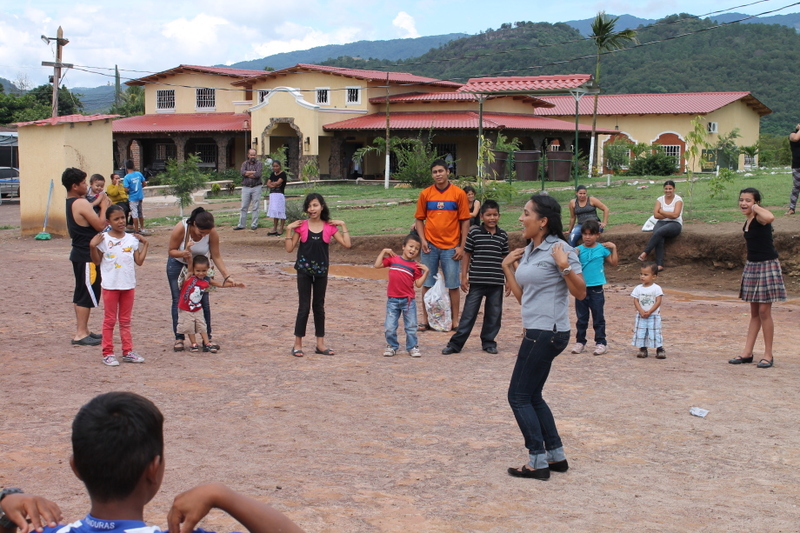 Another fun thing we were able to do in September, when Honduras celebrates “Children’s Day” was to have an afternoon where the boys could celebrate this holiday with their brothers and sisters and cousins. It was wonderful! I just remember Manuel playing with his triplet siblings. How fun!! It had probably been months since he had been able to goof off and just be a kid with them. Ohh!! I can’t even tell you how moving it was to see all the smiles on those kids’ faces. It was way better than the food, the candy or the cake. To God be the glory! We have also been able to see God’s favor upon the Micah Project. When we see doors opening, we know it is because He is going before us. 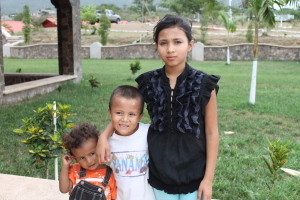 Right now we are in the process of moving Wilmer and Nelly’s three younger siblings into a sister project, due to severe family problems at home. 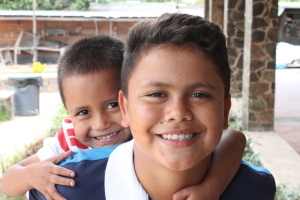 Because their mother is no longer able to adequately care for these beautiful children, we are working to find a better home for Cindy (9 years), Darwin (6) and Manuelito (2)… (who I like to call “Nellito” or “Little Nelly”), two of which do not even have birth certificates. It’s so great to know that our God is great and wonderful, and his love surprises us more and more each day. We are moving forward successfully, even though there is still much to be done. And I would like to finish with this: there is a song that says “Your grace has found me just as I am, *empty-handed but alive in Your hands” (The Spanish translation says: *I was nothing, and You made me valuable). It is my prayer that each and every one of these families can repat this phrase, not just with their mouths, but in their hearts. That they may know that their value isn’t because of what they do, nor what they were, not even for what they are now, but because of what God did for them. And as they come to realize this, they will become a blessing and a support for the Micah Boys. Thank you for reading! And please keep praying for us! Hoy por mucho tiempo la mayoría de los familiares de nuestros jóvenes, están pasando por muchos problemas que los agobian: hambre, soledad, dolor tragedias, violencia, recentimiento.etc. Podemos mencionar muchas cosas que cada una estas familias están pasando, pero estas llegan a Proyecto Miqueas en la condición de recibir ayuda. Diciendo aquí me pueden ayudar…. Hoy Podríamos preguntarnos ayuda? A poco no estamos ayudando a sus hijos? acaso no es suficiente? además; causaron tanto daño a sus hijos, abandono, dolor, sufrimiento, maltrato…y quizá muchas cosas más; pero hay una sola respuesta. El amor divino de Dios quien considero nuestras vidas, aun cuando estábamos muertos en nuestros delitos y pecados también, considero la vida de cada uno de estas familias, los ama con amor eterno y nuestro señor Jesucristo también murió por ellos. Isaías 1:18 dice: Venid luego, dice Jehová, y estemos a cuenta: si vuestros pecados fueren como la grana, como la nieve serán emblanquecidos; si fueren rojos como el carmesí, vendrán a ser como blanca lana. Y sus misericordias son nuevas cada mañana. A raíz de ello el proyecto miqueas ha abierto las puertas a una nueva fase del ministerio que son las familias! 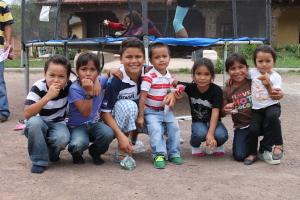 Tenemos 2 veces por mes un día de visita familiar en donde tenemos la oportunidad de compartir con cada una de estas familias, los jóvenes están mas cerca de sus padres y o familiares reconociéndoles como sus familias, sirviéndoles un delicioso almuerzo, jugando con ellos, aprovechando espacios que antes no tuvieron. 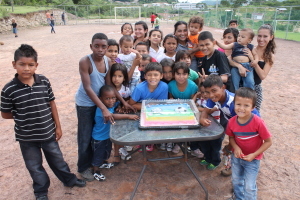 También algo bonito que hicimos este mes de septiembre; en Honduras es tradición celebrar el día del niño y niña, nosotros tomamos un tiempo para que los chicos celebraran con sus hermanitos y primos fue algo muy maravilloso, solo puedo imaginar a Manuel con sus hermanos trillizos ¡que divertido!! Quizá ya días no jugaba con ellos que encuentro ohh!! inexplicable las sonrisas de esos niños y niñas conmovieron más que quizá la comida, los dulces o el pastel. “Gloria a Dios”. Qué lindo el saber que Dios es grande, maravilloso y su amor sorprende cada día más. Estamos avanzando y con mucho éxito y aun falta mucho por hacer. Termino con lo siguiente; Hay una parte de una canción que dice: “Su gracia me encontró tal cual soy, no era nada y tú me diste valor.” Es mi oración que cada una de estas familias puedan repetir esta frase no solo por su boca si no en su corazón , que sepan que valen son por lo que hacen, ni por lo que fueron ni siquiera por lo que son ahora , si no por lo que Dios hizo por ellas. Y así convertirse en un apoyo más a los jóvenes del proyecto. ¡Anímate!! y continua orando por nosotros.